United Nations Special Rapporteur on Freedom of Opinion and Expression as well as Professor of Law at University of California Irvine, David Kaye presented on the implications of the Trump administration’s policies on select law and health topics. David Kaye is the United Nations (UN) Special Rapporteur on Freedom of Opinion and Expression as well as Professor of Law at University of California Irvine (UCI). He started the International Justice Clinic at University of California Los Angeles (UCLA) and has been active at the intersection of human rights and law for many years. He presented for roughly 25 minutes and facilitated a lively Q&A afterwards. His talk began by explaining the problems with defining “fake news” then moved into a discussion about the application of human rights law to think through these issues particularly in the health arena. He ended his presentation with a variety of possible solutions including their respective legal and policy implications. As noted by Professor Kaye, false information has been around for a long time. However, the current political moment has brought to the fore conversation about fake information around the world. He began by stating that it is hard to quantify political fake news, its origins as well as its impacts. For example, what exactly were the impacts of false information in the 2016 presidential election? To who and in what ways? He contrasted this with the impact of false information in the health arena (i.e. anti-vaccination propaganda beginning with packaging) which is relatively easy to track (i.e. number of children not being vaccinated). While it may be more difficult to quantify hysteria, one can track tangible impacts. He showed several examples of fake news as captured in an online search of HPV vaccinations last year. Search results included fake “research” articles (i.e. “Lead Developer of HPV Vaccines Comes Clean, Warns Parents & Young Girls It’s All A Deadly Scam”), fake news articles that resemble real news sources (OYE News mimicking BBC News), and fake URLs that personified NBC News. Because the public is constantly searching for health news, consumers are easily susceptible to misinformation and disinformation that can become “viral” on Twitter and Facebook. How do we deal with fake news in the health domain in particular? When false information is circulated, it can cause hysteria or deter consumers from seeking treatment. Consequently, one response may be to censor false news that can be demonstrated to be harmful to individual and public health. Although this motivation may seem at first glance to have certain advantages, as he explained it can be problematic with respect to human rights law. Beyond thinking of free speech and First Amendment US law, Professor Kaye focused on the mandate and framework of Article 19 on the International Covenant on Civil and Political Rights, widely understood to be the central human rights treaty guaranteeing civil and political rights. It is a sibling to the International Covenant on Economic, Social and Cultural Rights. “ Article 19: 1. Everyone shall have the right to hold opinions without interference. As explained by Professor Kaye, there are numerous intriguing aspects to this right. Firstly, “regardless of frontiers” makes this a transboundary right, which is unusual for human rights law (which is normally very focused on territorial borders). This allows people the right to receive information across borders through any media of one’s choice. Professor Kaye noted that this is an idea before it’s time; it is perfectly in tune with the current digital age. Secondly, Professor Kaye highlighted and emphasized that this right does not say “seek, receive and impart” true information. In other words, Article 19 does not distinguish falseness, satire, insults…etc. from truth. He then went on to discuss the relevance of lmitations of this right in the context of health, as well as in relation to fake news and information. For example, if a state can make a case that it is necessary to limit information to protect public health, how does this connect to the recent hysteria about Ebola in NYC or the false information about Zika that had been circulating . In this context, Professor Kaye brought up an important question: Is it necessary to take this restrictive step in order to protect this legitimate public health interest? We can use other tactics to counteract false information, such as: public education and promotion of true information. He also cautioned and warned that censorship can push relevant information or people who are sick underground, making it harder to track and/or monitor by public health professionals. He emphasized the important and vital distinction that censoring information does not eliminate information. Consequently, the apparent simple solution of censoring false information with respect to public health issues may not serve its intended purpose. If limiting and censoring false information is problematic and potentially dangerous, what are then some possible solutions? Professor Kaye introduced and discussed several approaches to maintaining respect and advance the cause of freedom of expression in Article 19.2 while protecting the equity concerns in Article 19.3. In the fake news context, he stated we’re not doing a great job at managing this balance. The first and best approach that is most consistent with the principles of freedom of expression is to check false news with true information. This means utilizing fact-checking systems (i.e. Snopes) that allow facts to challenge ideas, rather than censorship. Like a battle of good versus evil, the best way to shoot down false information is to show to an audience that it simply is not true through facts and education. “A big part of the responsibility for this scourge rests with internet companies like Facebook and Google, which have made it possible for fake news to be shared nearly instantly with millions of users and have been slow to block it from their sites”. Initially on board with holding these sites responsible, as he thought about it more he found an issue with their suggested solutions. Google, for example, suggested an algorithm that could “train the software to spot bogus stories and outwit the people producing this garbage”. It sounds impressive on paper, however, is there a software that can accurately do this? Can an algorithm pick up on the subtle differences between humor, satire, false news, peer-review and more? There may be overconfidence that programmers can identify false information. Once again, Professor Kaye warned again over regulation despite current politics. Professor Kaye then expanded the discussion to a broader problem. What law applies to the internet and its regulation? What are or should be the rules for this industry? Who can set the parameters for private companies and ultimately hold them accountable considering the various actors at play? He begain by talking about the role of government in this context. The United States government would find it impossible from a practicaly perspective to censor information on the internet. Additionally, a state will not have the legal basis to restrict this information. Consequently, we’re having companies do that instead of the government. The question arises, what law applies in the digital space? What laws apply to private online actors? Should we apply community standards or a certain specific standard to these sites? And who decides/ As these platforms grow in size, Professor Kaye emphasized that is important to continue to ask what rules should be applied in this space. Professor Kaye then introduced the third possibility of imposing intermediary liability on companies. This is when companies allow dissemination of information on their platforms that is not legal or prohibited to be disseminated. For example, in Germany, the German NetzDG Law requires that companies take down hate speech once identified within a specific time frame. This is an approach that can hold companies and platforms accountable to their content while being active. The fourth type of regulation Professor Kaye discussed is to actually criminalize the sharing of false information. What if we prosecuted individuals who spread false information? Although he does not recommend this approach, he discussed how this approach is happening around the world: In Gambia, for example, a journalist was charged with “sedition” due to publication of false news with intent to “cause fear and alarm to the public”. In Bahrain and Egypt, accusations of “inciting hatred against the regime” and allegedly spreading false news was enough for arrest. In Thailand, the Natural Fruit Company filed a defamation lawsuit against a British human rights lawyer who did work on labor standards and human rights for “broadcasting false statements to the media”. The implications of this type of censorship is unknown. What would entail “false news” and what would be adequate for arrest of citizens, journalists and lawyers? What is the line between advocacy and intent to cause fear/alarm? What are some ways to find a better balance between two seemingly opposite, repelling interests? Once again, how do we maintain respect and advance the cause of freedom of expression in Article 19.2 while protecting the equity in Article 19.3? Professor Kaye ended by suggesting several ways forward. One move forward could be through action by private technology companies: Since last November when Trump was elected, private technology companies are starting to understand the public outcry over false information. Professor Kaye recapped several methods to counteract false information. These examples include: algorithmic/automation, filters, user autonomy and control, and transparency. Filters, however, can be problematic because that becomes a way of censorship. Professor Kaye mentioned that companies are not transparent with where their information originates from (i.e. sharing when a URL is created). On the flipside, regulatory approaches can be dangerous and if we go down this route, we need to be careful of intermediary liability, censorship and transparency/public reporting requirements. These issues do not exist in a vacuum. As he explained, false information, private technology and regulatory concerns are influenced by other mediating factors. He briefly discussed state, philanthropic and education in this regard. Overall, he believes there needs to be more funding for actors out there (like Snopes) that are doing the handling of fake information. It makes sense to counteract false information with facts and a way to do that is through greater sponsorship and funding of fact-checking actors. Professor Kaye advocated that there must be active, well-resourced educational resources that promote information to the general public. Education around health is not always ideal consequently, it is important to educate people how to be news consumers and literate in a world that has changed. Professor Kaye opened the floor to questions. A diverse set of questions were raised by audience members from dramatic arts, law, public relations and medicine: audience members asked whether the “problem” is with the receiver or sender of information. There was a call for better evaluation of the origin and subsequent citing of sources – almost reminiscent of a food label (“side effects may include…”). Professor Kaye emphasized that if one company is the source of one type of information (such as Yelp), this will lead to exclusion of information and/or shifting to other sites. The government’s role was also discussed in more detail: Can the government have more than a restrictive role? Can it have a positive obligation towards creating an environment towards freedom of expression? Professor Kaye also reviewed some of the jurisdictional problems in attaching responsibility to states and private companies (i.e. denying the Holocaust in France and lawsuit against Yahoo). He concluded by noting that without a doubt, the search engine is the more important driver in supporting the right to seek information, and reqires additional thought particulary as regulated in line with Article 19. The Law and Global Collaboration Fund would like to thank David Kaye for his time and engagement on this timely and important work. The above is a brief summary of this seminar. Please note, this content has not been fact-checked. If you would like to reference any of the statements made, please independently verify and source the information, view a recording of the event (if available) or reach out to the presenter. 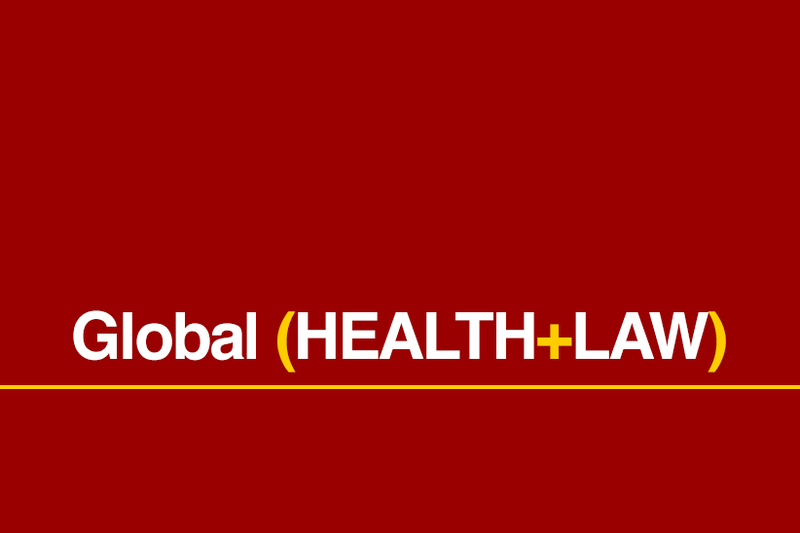 For questions or comments, please email global.health@usc.edu.